Take to every pound of plums a pound of suger, then beat it small, & put so much water to it as will wet it, then boyle it till it bee sugar againe, then put in the plums, & let them boile very softlie, till they be doone, then when they bee cold put them up, if they begin to grow then set them where fire is in a cupboard; you may doe respis this way & gooseberries, but you must boyle them verie soft, & not put them up till they bee cold, & likewise may Cherries be doone as your gooseberries & respis. Elinor Fettiplace’s Receipt Book, ed. Hillary Spurling. Take to every pound of plums a pound of sugar, then beat it small, & put so much water to it as will wet it, then boil it until it be sugar again, then put in the plums, & let them boil very softly, until they be done, then when they be cold put them up, if they begin to grow then set them where fire is in a cupboard; you may do raspberries this way & gooseberries, but you must boil them very soft, & not put them up until they be cold, & likewise may cherries be done as your gooseberries & raspberries. 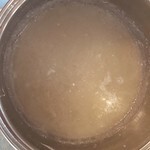 This recipe is quite different to a modern jam recipe – first you create a sugar syrup, set it to a candy, then add the fruit and gradually dissolve the candy into a syrup again. 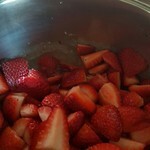 The fruit then melds into the sugar syrup, creating the jam. It takes time and patience, because you DON’T want the fruit and syrup to boil, however the flavour is far superior to modern jams, and you don’t have boiling mixes spitting on the stove. Along with some friends, I have made this recipe using mulberries, strawberries, blackberries and raspberries. Put the sugar in a heavy bottomed saucepan and add just enough water to turn the sugar to a stiff paste – it should not be too wet. Put the pan of sugar paste onto a low heat, and stir it until the sugar is dissolved. Then leave the sugar syrup to heat to 115°C. Give the pan a good jiggle and stir to set the sugar syrup to a candy. Allow to cool completely. You will end up with a solid mass of candy in the base of the pan. Meanwhile, cut the fruit into small pieces and set aside. When the sugar candy is completely cold, put the pan back onto a low heat and pour the fruit on top. Give the sugar candy and fruit an occasional stir to allow the fruit and sugar to mix. DO NOT LET IT BOIL. To test when the jam is set, put a small amount onto a cold plate and tip the plate. If the mix is very runny, leave it to cook a little longer. Otherwise, remove from the heat and allow the jam to cool. Pour the jam into sterilised jars and store in a cool place. The weights of fruit and sugar given are only guides – you can make this recipe with more or less fruit. The important thing is to have equal weights of fruit and sugar. Elinor Fettiplace’s instruction “to boile” can be quite confusing. Often she actually means “simmer,” and you generally have to work out the meaning from the context. Because she specifies “boile very softlie” in this instance, she is talking about simmering in this case. If using a low pectin fruit such as raspberries, you will get a better final set if you use juice from the fruit to make the initial sugar candy rather than water. If you’ve made jam using a modern recipe, not boiling the jam mix may not seem as though it will work. However, it actually gives you a far better result, though it does take time and patience to get a set. Pectins are released from the fruit at 70°C, rather than boiling point. But because the mix doesn’t boil, none of the fruit flavour is lost through evaporation (Spurling, 2011, 129). So you wind up with a jam that is a little more runny than typical modern jams, but has a much more intense fruit flavour. Lady Elinor’s instruction to “set them where fire is in a cupboard” “if they begin to grow” refers to instructions to follow if the jam starts to get mouldy. 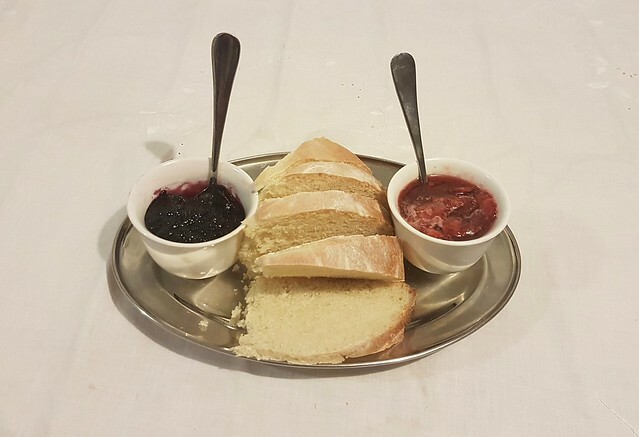 She means to put the jam pots in a cupboard with a slatted bottom over a fire, where the heat and smoke will prevent mould from forming (Spurling, 2011, 129). Left: mulberry jam. Right: strawberry jam. Spurling, Hilary (2011). Elinor Fettiplace’s Receipt Book. This entry was posted in C16 English, English Banquet Food, Preserving, Recipes and tagged preserves. Actually, this one doesn’t need too much patience. It’s easy to control the heat with a simmer mat. It’s things like making marshmallows that require patience!